Sharing thoughts, ideas and tips from my own experiences managing at a small business. No unfortunately I didn’t get to pick the brain of Neville Isdell, the former CEO of Coca-Cola, but I did read his book Inside Coca-Cola recently. It was pretty good, not great, but definitely interesting to get an insight into the ultimate global brand. Whenever I read a biography or business related book, my goal is always to find at least one takeaway message. Anything that helps expand my knowledge, opinion or perspective on or about business. 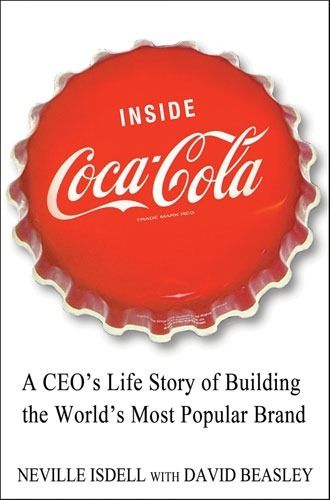 From some books I end up with a list but from Neville and Coca-Cola I learnt one key lesson. It is very simple and makes perfect sense but I barely ever hear it discussed when reading or conversing about business. “Everyone along the way, from start to finish, makes a profit”. I know that in real business life, especially as a small business, it is never that simple with everyone along the way always after a bigger piece of the pie. But it’s a great notion to keep in the back of your mind when building a business that will be sustainable in the long term. If you would like to hear more SME Diary entries, please enter your email to receive updates.